A great cut offering distinctive taste. This tender Scottish Aberdeen Angus cut will surprise you! The hanging tender is like a secret well hidden. 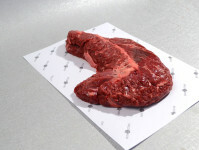 This muscle offers a rich and distinctive taste, more than any other beef cut. Once you try it you will love it. The texture is somewhat rough, so you will want to cut against the grain. 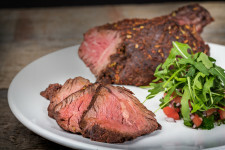 Then, the tastiest and most flavourfull meat will blow you away! Free shipping for orders over €60,-! All products from our own stock. Nice recipes and chef's secrets! Rating: 9.2, gebaseerd op 13537 beoordelingen.